Deborah is excited to announce the details of the second retreat for LifeForce Energy Healing® IV & V students. As a Master or Grad student, you have been called upon to share your extraordinary spiritual gifts and healing abilities with the world: at this exclusive event, Deborah will teach you ways to contribute beyond yourself and become a guiding light to the world. 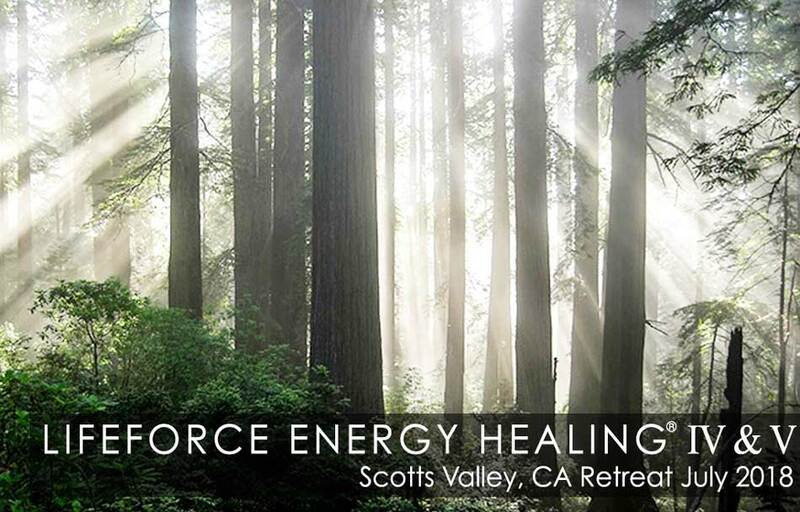 LifeForce Energy Healing® IV & V Retreat at 1440 Multiversity. You are heeding the call. You are ready to step into greatness! You are a Master student of LifeForce Energy Healing® and you are being called upon to step up and share your gifts and abilities of healing with others. This special retreat is included as part of your annual fee as a LifeForce Energy Healing® IV Master-in-Training or Master Graduate. Join Deborah in the redwood forest to awaken to the truth of LifeForce Energy Healing® in you. All of your training, all of your experiences have led you to this moment. You are blessed with amazing healing gifts and it’s now time for you to step up and share those gifts with your friends, family, clients and even the world. Deborah will help you reach higher levels and master your most natural gifts to heal yourself and others. Remember, this retreat is only for Deborah King’s most advanced LifeForce Energy Healing® students and she only conducts two of these events per year. Deborah keeps these events small and intimate for one simple reason – to provide a high level of one-on-one training and coaching for her most beloved students, like you. Take this opportunity to work personally with Deborah King. *No day students are allowed on property at this event. All attendees must stay at 1440 Multiversity in order to attend. *For double-occupancy rooms, if you have a roommate chosen, email the Deborah King Team your roommate’s name and follow up to be sure your roommate books their accommodations as well. Otherwise, roommates will be matched based on gender. *All rooms will be booked for 4-night stay. *Per-person rates also include all meals, daily meditation and yoga classes, non-ticketed evening events, and use of the fitness center, steam rooms, and infinity tub. This year’s second retreat will be held at 1440 Multiversity, a brand new campus in the heart of California’s Scotts Valley. Nearby airports, driving directions, and shuttle schedules. Awaken your own LifeForce Energy Healing® alongside Deborah and your classmates in the natural beauty of California’s redwood forests. As one of Deborah’s Master students, you are blessed with amazing healing gifts and spiritual intuitions. During this second retreat, Deborah will teach you how to share your gifts with others as you continue your journey to greatness. Work one-on-one with Deborah and receive personal instruction and guidance. Receive initiation to higher spiritual levels. Learn Deborah’s most advanced and esoteric techniques (only taught at Master Retreats). Refine and master advanced healing techniques in an intimate and meditative setting. Connect and build lifelong relationships with with like-minded individuals in your class. Learn core practices for being an effective and professional LifeForce Energy Healer. Apply your learnings to your own life and the lives of others. Remember, this retreat is open only to Deborah’s 2017-2018 LifeForce Energy Healing® IV and V classes. Deborah keeps these retreats small and intimate for one simple reason: so she can personally coach and train her highest level students. All guestrooms at 1440 Multiversity feature elements found in nature, beautifully integrating indoor and outdoor environments for a style that is at once rustic and modern. All rooms are equipped with Wi-Fi access and a safe for valuables, but there are no phones or televisions. Per-person rate includes all meals, as well as access to 1440 Multiversity daily meditation and yoga classes, non-ticketed evening events, and use of the fitness center, steam rooms, and infinity tub. Please note: No day students are allowed on the property at this event. All students must stay at 1440 Multiversity in order to attend and must book through The Deborah King Center. All rooms will be booked for four (4) nights. If you plan to attend the event and have not yet booked your room through The Deborah King Center, please send an email to contact_us@deborahking.com requesting assistance with securing a room. 1440 Multiversity is in the redwoods of Scotts Valley, California, between Santa Cruz and Silicon Valley—within easy reach of San Francisco. Given the immersive and all-inclusive on-campus experience of 1440, you will not need a car during your stay. 1440 strongly encourages guests to take advantage of their shuttle serving the city of San Francisco and the San Jose airport, use a ride-share or shuttle service, carpool, or hire a taxi. • Commutewise: a social network which connects people traveling to the same location. Search “1440 Multiversity” to find other guests to share a ride. • From SJC to 1440: Fridays and Sundays, the shuttle leaves SJC at 2:30 pm. 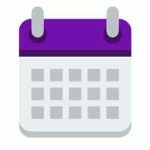 • From 1440 to SJC: Fridays and Sundays, the shuttle leaves 1440 at 12:30 pm. • Shuttle drive-time between SJC and 1440 is approximately 1 hour. • To make a reservation for the 1440 Shuttle, please call 1-844-544-1440 (choose option 1) or email reservations@1440.org. Please include your name, cell phone number, and flight details. *if your program does not start and end on Friday or Sunday, please contact 1440 – they occasionally run special shuttles. • There is an additional $25 fee if you take the shuttle before 7:00 am or after 10:00 pm. • Please be aware that parking is limited on the 1440 campus, we strongly encourage guests to ride-share or take a shuttle. • The 1440 campus is located off of a busy, mountainous roadway (Highway 17). Please check road conditions before setting out, observe the speed limit as accidents and police stops are frequent, and use caution when rounding curves. • Please be considerate of our residential neighbors. Observe the speed limit, avoid using your horn if at all possible, keep noise to a minimum when parking your vehicle, and avoid driving after 10:00 pm.